The boom suspension assembly now offers improved contour following, allowing it to run closer to the ground (below 50cm) on even the largest diameter wheels. The sliding frame is equipped with an additional set of rollers and can now pass the extremities at both the top and bottom of the mast, allowing an increased range of travel whilst improving crop clearance under the mast itself. All rollers feature sealed bearings to ensure smooth, reliable vertical travel, isolating the boom from tramline undulations and ensuring spraying target heights are maintained. The reaction time of the lift and lower hydraulic functions have been reduced, further improving boom control. The advanced ePlumbing system has been updated to use CANbus valves that offer operators real time information of the valve’s status and position, which is essential during automatic filling, rinsing and general plumbing functions. Unlike other systems on the market, this gives ePlumbing the ability to alert the operator if a valve does not reach its intended target position, therefore removing the chance of cross contamination. Variable tank agitation is also featured with automatic shut off at low tank volumes to eliminate foaming, all controlled from the ePlumbing screen. The move to intelligent valves has provided an opportunity to lower chemical dead volumes by reducing the total number of components in the system, reducing wash out time and total washings that require disposal. 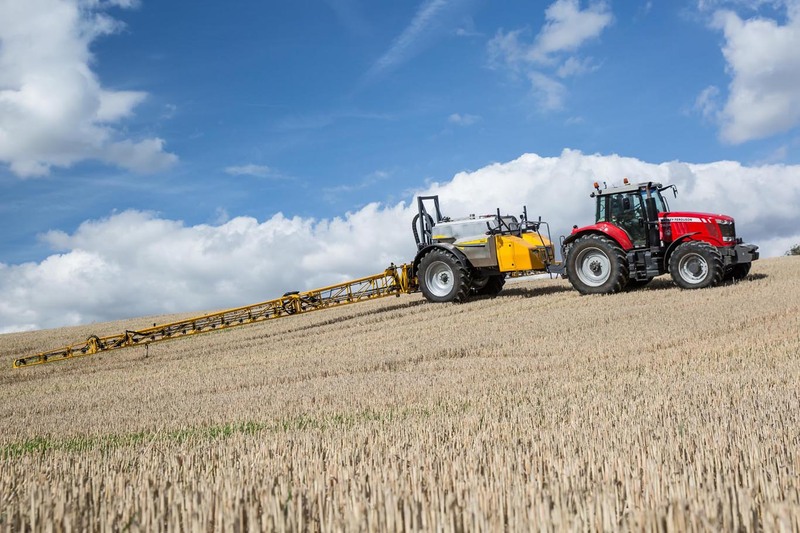 The steering system on ‘e’ spec machines has also been updated, moving from a potentiometer and linkage between the tractor and the sprayer, to sensors mounted to the sprayer itself. This system increases steering sensitivity and assists tractor following. No connection to the tractor is required, reducing time taken to hitch and unhitch as well as improving reliability. Additional room has been created around the mudguards to ensure this steering system can perform with even the largest diameter wheels and tyres.